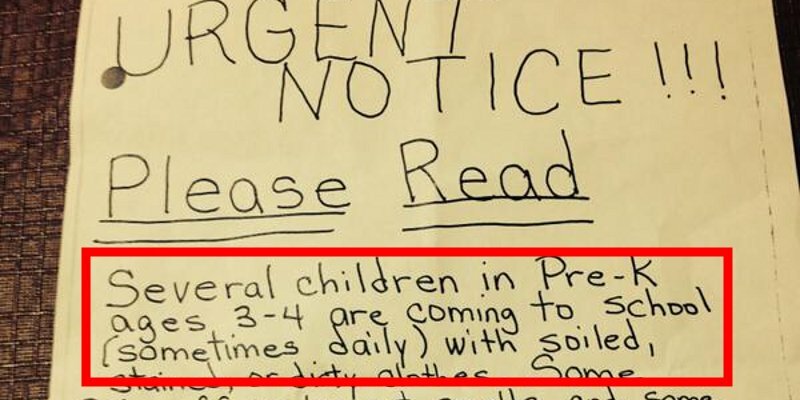 A lot of parents were outraged after they received a written note from a pre-kindergarten teacher that stated their children smelled bad which made the classroom environment really difficult to work in. Mrs. Dunnigan who teaches in the BUILD Academy in Buffalo, N.Y. is currently facing disciplinary actions due to her outrageous demand. She sent a number of her students back home with a note that stated they smelled really bad and weren’t taken care of regularly. In the note she also stated that it was really hard for her to be around them and even touch them because of their soiled pants and bad odor. Dunnigan even accused some of the students of wearing dirty clothes to school on a daily basis. The teacher also requested that the parents sign and return the note as the issue was posing a serious “health and safety” concern according to her. After a number of parents complained publicly, the principal of the school took action. Now the veteran school teacher Mrs. Dunnigam is forbidden from ever sending any messages to students’ parents without first receiving the principal’s approval.